Sometimes when I peek into my freezer at home and look at the ice trays, I see icy pinnacles rising up from the cubes. While most people would ignore this phenomenon but to my scientific mind, it looked odd that such a shape would happen and I decided to explore. “Was it a paranormal or supernatural activity undergoing during the phenomenon of freezing”?, I wondered. Mysteries never cease to die unless science explains it. So a little bit of search into the annals of physics and a little help from my friends, helped me unravel this mystery. According to a professor of refrigeration engineering at Dartmouth University and lead author of the book ‘The Physics of Ice’, Victor Petrenko, “the 'pointy' ice cubes are a by-product of down-to-earth primitive design of icemaker trays." So how are the spikes formed? 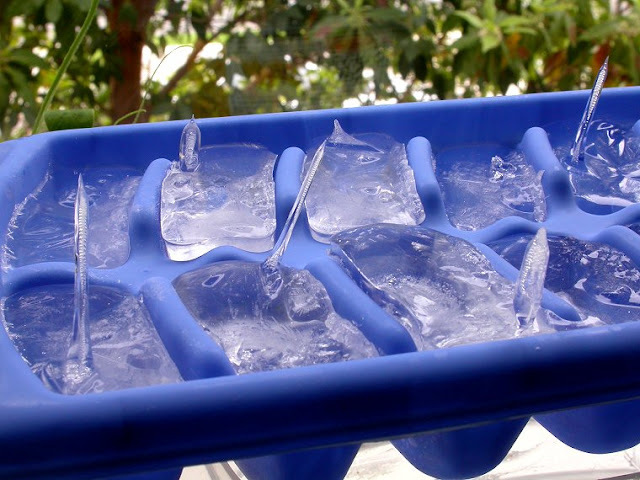 Water when put in the ice trays freezes first from the top surface that is in direct contact with the cold freezer air, from which an evaporative cooling can occur. Therefore, process of freezing of water begins from the edges to inwards. As the film of ice grows, the crystals start merging and become fixed rigidly in place. The ice molecule starts expanding laterally by 8 per cent during the freezing process. The sheet of ice continues to freeze from edges to the middle, until a small hole remains unfrozen. As the ice expands along the edges, the remaining liquid water molecules are forced inwards, until it no longer has anywhere to go but squeeze up through the unfrozen hole. Due to the water squeezed up because of the pressure, a convex meniscus is formed which bulges slightly higher than the surface of the ice. The edges of meniscus freeze and create a small dam, causing the water to rise higher. As the water expands above the ice dam, edges freeze again to form another dam above the first one. If the rate of expansion of the water is the same as the rate of freezing at the lip of the hole then this process is continually repeated. The cumulative effect of expansion, freezing, pressure form successive layers to form a tube of ice. Until the tip seals over and all the water is frozen, the ice tube continues to grow. By default, matter tends to shrink when there is phase transition from liquid to solid state. But, water behaves in an unusual way. The molecules of water moves apart when it freezes because of change in physical parameters like temperature, pressure, density and volume at the edges and inside. When cooled down, there is an increase in the volume of matter and decrease in density unlike other matter because of the molecular structure of water when it solidifies. 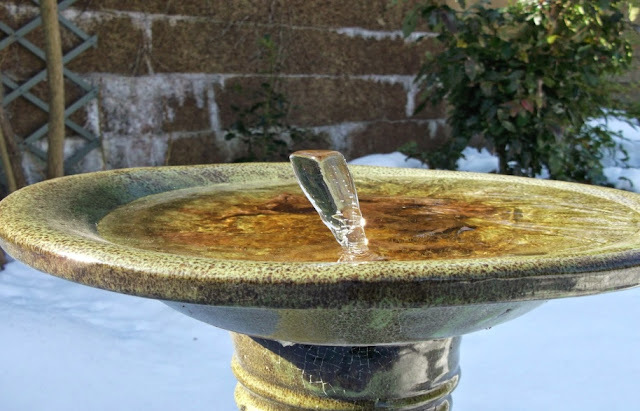 The figure below shows an ice spike formed on a bird bath. In these cases the spikes are referred to as ice vases, for obvious reasons. Use distilled water instead of ordinary tap water. A meager amount of salt in water prevents the spike formation. A fan in the freezer favors the spike formation. Fan increases the circulation of cold air inside the freezer and, also increases evaporative cooling. Ideal temperature is not too cold and should be between -5 and -8 degree Celsius. 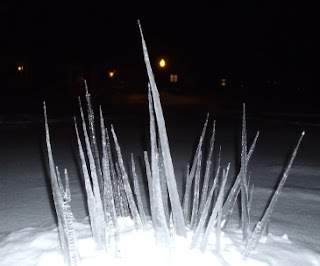 Provided the ideal conditions, we can get really large and amazing ice spikes. Next time you see ice spikes hanging from a roof or a spike formed in the freezer, think about why a specific temperature is required for its formation. Ice is a fit subject for contemplation because of the way it behaves. What’s the colour of blood? Is your answer Red? Well, red is not the only blood colour available – there is a whole rainbow out there. Blood also comes in blue, green, violet, and even colorless varieties. All this is because different organisms have different proteins. The coloring matter of blood (hemo-chrome) is largely due to the protein in the blood, responsible for oxygen transport. Science a subject which fascinates many students to create something new but science equally challenge many students who are not able to understand it. 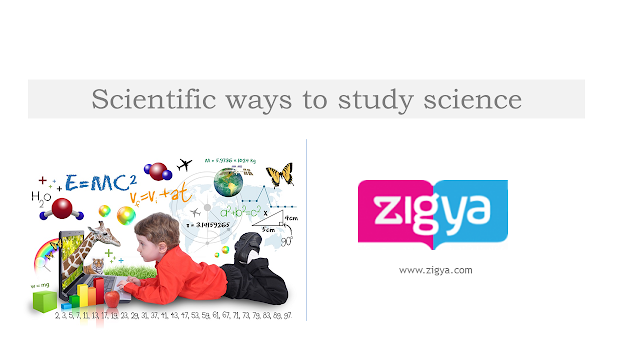 So here are the way to learn science without making it a burden to carry. Before listing the ways, I would like to point out that purpose of education isn’t to get straight ‘A’ Grade in the exam. But learning how to learn is a vital life skill. So here go some of the ways. We should try to focus on learning the same information in various forms. The examination demonstrates that diverse media stimulates distinctive parts of the mind. The more territories of the brain that are initiated, the more probable it is that you'll comprehend and hold the data for the longer period of time. Today, Class 12 is one of the major turning points in a student's life. Here we are going to provide career guidance for the students who wish to pursue their career after 12th in the science field. We refer to those students who are having science group in 12th standard. Mostly Science students appear in JEE Main Exam or NEET Exam 2018, for admission to top engineering and medical colleges of the country receptively. 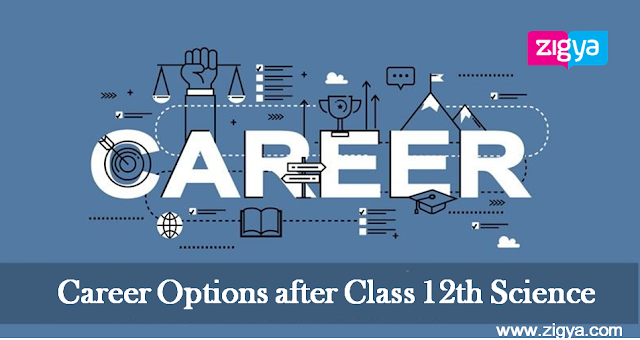 There are so many career options for a science student after completing 12th standard. The major advantage for science students as they are eligible for science as well as commerce and humanities streams. There are so other career options for Physics Chemistry Maths students after class 12th just other than engineering and medical.